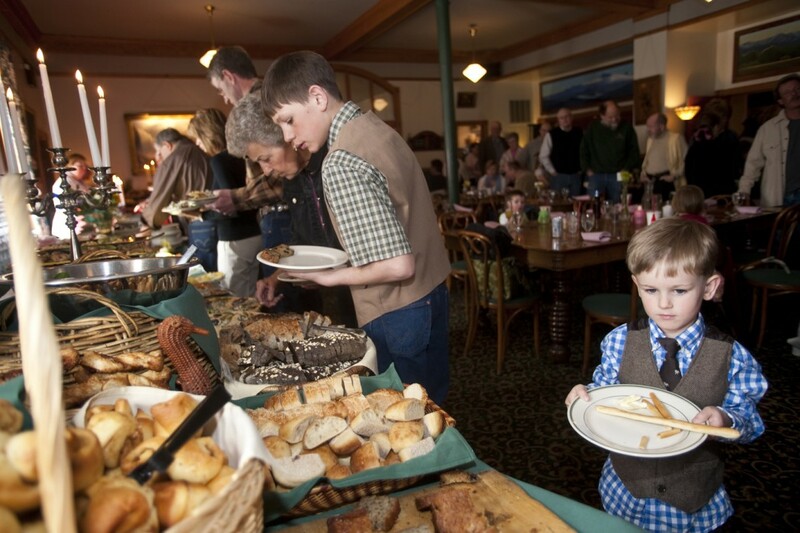 I’m not typically an all-you-can-eat buffet enthusiast, unless the meal-in-question happens to be one of three annual smorgasbords held at The Grand Hotel in Big Timber on Easter, Mother’s Day and Thanksgiving. 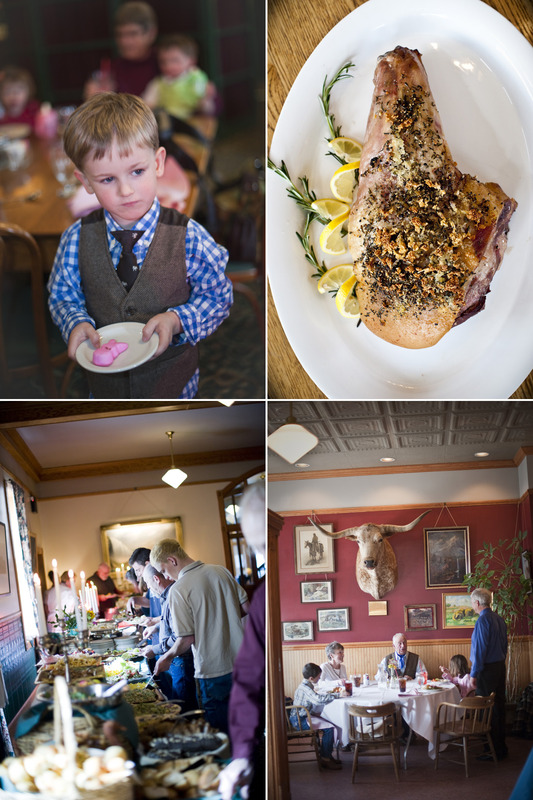 Each of these high-energy feasts features a staggering array of seasonal delicacies, but my favorite menu is Easter Sunday’s. “It’s not often that you can get slow roasted, all-you-can-eat Leg of Lamb with Raspberry-Mint Sauce,” says Executive Chef Amy Smith, who sources lamb locally through Montana Natural Lamb—a small group of Big Timber area sheep ranchers who work together to try and create a market for their product. Right now, Chef Smith is busy preparing for the 26th Easter Buffet she’s orchestrated since she began working at The Grand 27 years ago. From behind her carving station, where she greets and chats with guests, she’s seen a generation of children grow up as they file through the buffet line year after year. “I just love seeing all the ladies in Easter bonnets and little girls in frilly dresses. It’s nice to see people out and enjoying their families…and Mom not having to cook,” says Smith—adding that it makes her smile every year to see that kids still enjoy putting olives on their fingers. 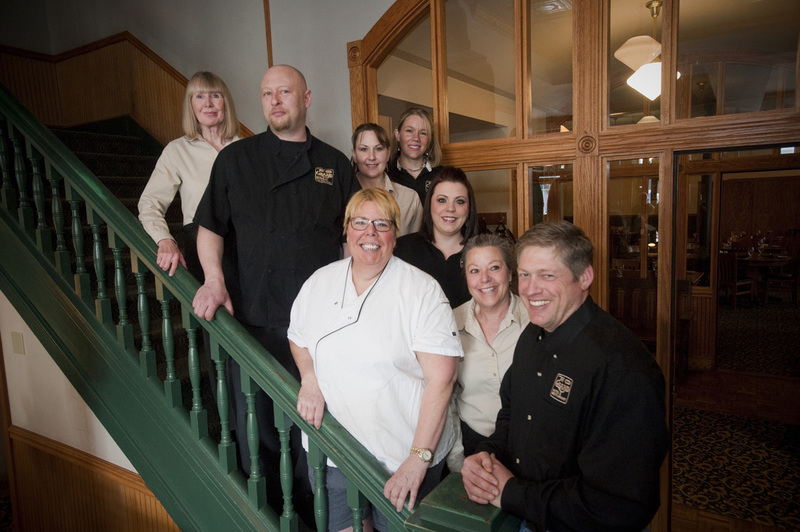 “It absolutely amazes me how far people will drive for this meal and what a large following Chef Amy and our crew have built over the years,” states Chris Dern, who with his wife Tami bought the historic hotel on January 1, 2015 from longtime owner Larry Edwards. The focal point at each of these culinary extravaganzas is an impossibly long table spanning the length of the Victorian dining room (plus half of an adjoining wall!). On Easter, it’s laden with the three featured meats plus quick breads, sweetbreads and rolls, fresh fruit and relish trays, full sides of house-smoked salmon, steaming trays of asparagus, wild rice pilaf, French green beans, garlic mashed potatoes, and a dozen homemade salads (including sweet potato with pineapple; shrimp and avocado; Asian noodle with snap peas and sesame-ginger sauce; and The Grand’s infamous pea and peanut salad with bacon and cheddar cheese). 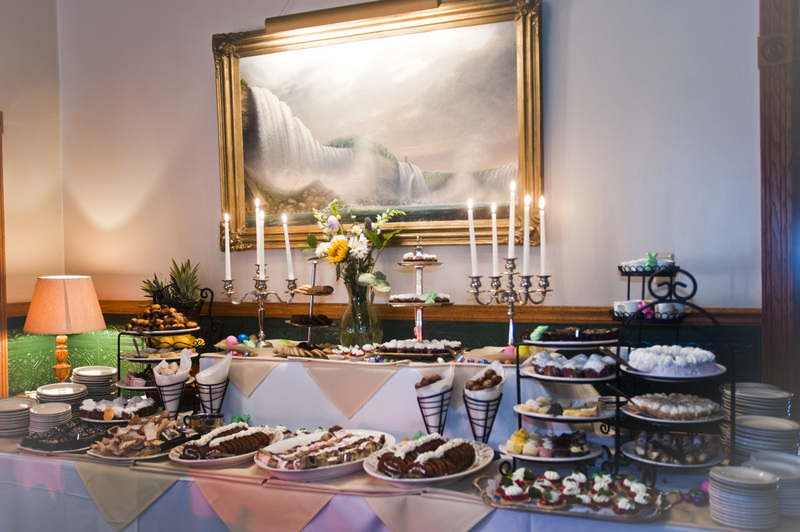 At the end of the line is a towering dessert table stacked with layer upon layer of bite-sized cakes, cookies, brownies, cream puffs, éclairs, cupcakes, lemon bars, mini key lime tarts, fresh strawberry tarts and slices of pie. While Chef Smith is out front carving at the buffet table and greeting guests, sous chef Kenny P. Winters, a Big Timber native who’s worked at the Grand for eight years, is back in the kitchen with an assistant cooking “reinforcements” for empty bowls and trays up front—while simultaneously babysitting each slow-roasting hind leg of lamb. Though the menu at The Grand features lamb year-round, Easter is the only day they offer leg of lamb. 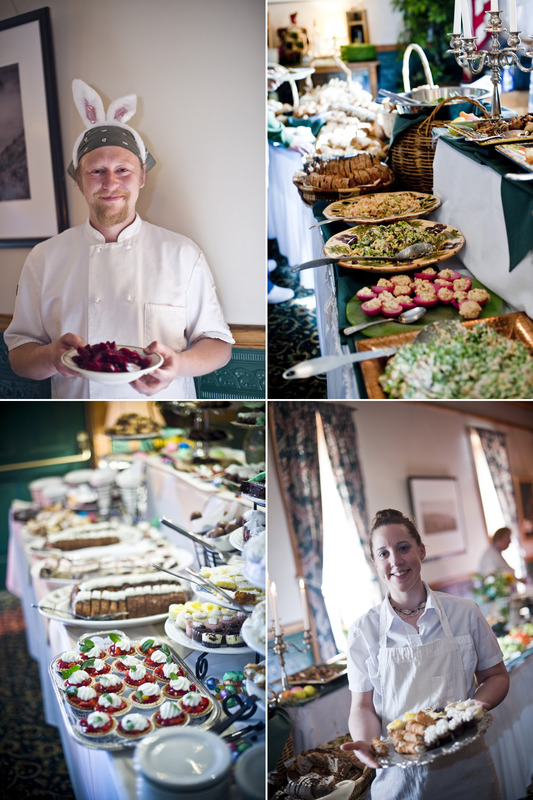 For anyone wanting to try a bite (or all you can eat), call (406) 932-4459 immediately. 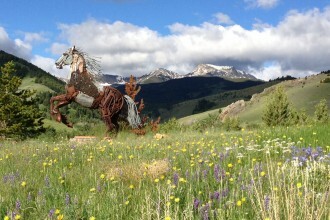 (Cost is $32.95 per person; $1 per year of age for children under 12). 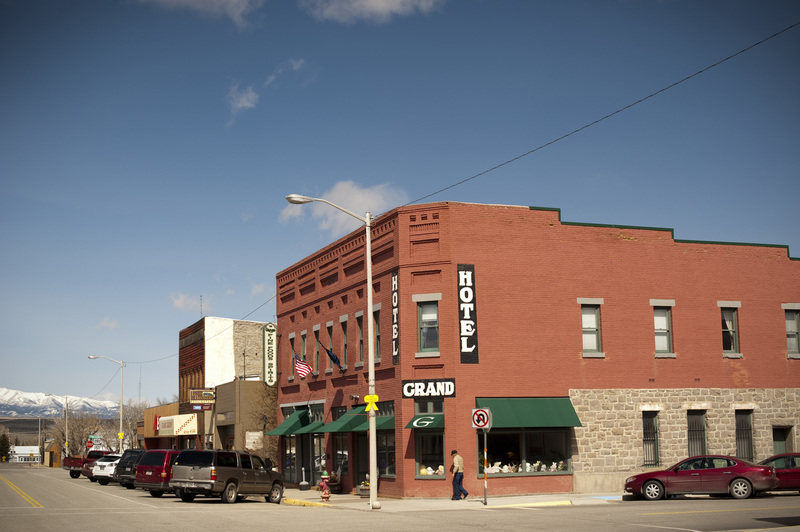 Reservations are required, but they may already be at capacity. If you can’t get a reservation and don’t want to wait a year to try it, Chef Smith has graciously shared her recipe so you can make it at home. ninety minutes until meat until 135 degrees. Simmer in pot for 10 minutes and thicken with a little roux (a mixture of flour and butter) or cornstarch.